In Odenton, Career Day at Waugh Chapel Elementary School! Jerry Kline, Realtor with Keller Williams Flagship of Maryland, near Fort Meade, recently spoke about his profession to students at Waugh Chapel Elementary School Career Day. What does a realtor do? How does a realtor spend his days? And most important of all – at least to a third grader – does a realtor have to be good at math? 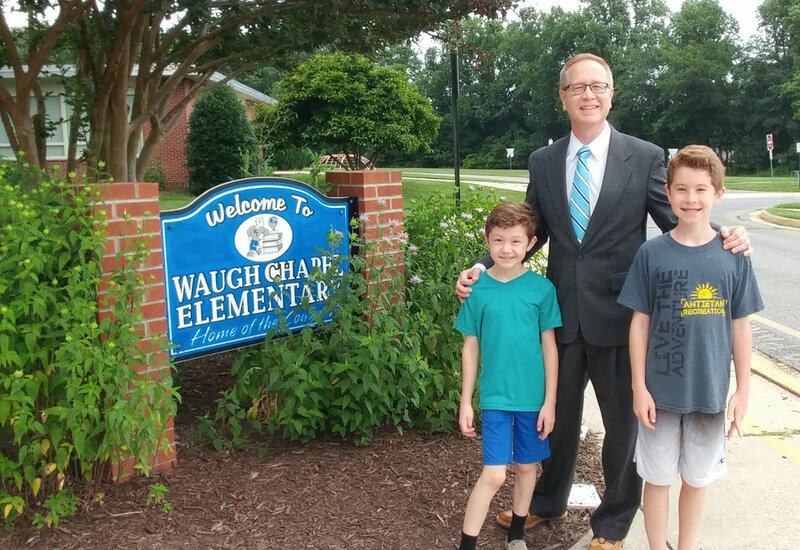 I answered all of these questions and more when I recently visited Waugh Chapel Elementary School in Odenton, Maryland, for its annual Career Day exposition. Moms, dads and other family members like me spoke to students about the various kinds of careers kids might want to consider when they grow up. A warm thank you from the students at Waugh Chapel Elementary School who welcomed me to their recent Career Day event! As I explained to 3rd graders in Ms. Kyte’s class, 1st graders in Ms. Hill’s class and several other groups of students, as with any job, being a realtor has advantages and disadvantages. Yes, you do need good math skills to be a successful real estate agent. But technology can be a really big help with this! The kids clearly liked that realtors usually are their own boss, they have flexible work hours, and realtors can be well compensated. But the kids frowned and groaned when they found out realtors have to work on weekends, spend hours on the phone and computer and do a ton of paperwork. Yes, real estate agents do travel a lot as part of their work. But we can often be reimbursed for the mileage we drive. Still, in learning about what realtors do, the kids were attracted to the overriding theme of helping people in need – which is the most fulfilling aspect of the job for me. Many heartfelt thanks to Principal Cheryl Cox and all the kids and staff at Waugh Chapel Elementary School for inviting me to participate in your event! Your school is a wonderful environment for learning, and I hope to help each and every one of you find a home some day!